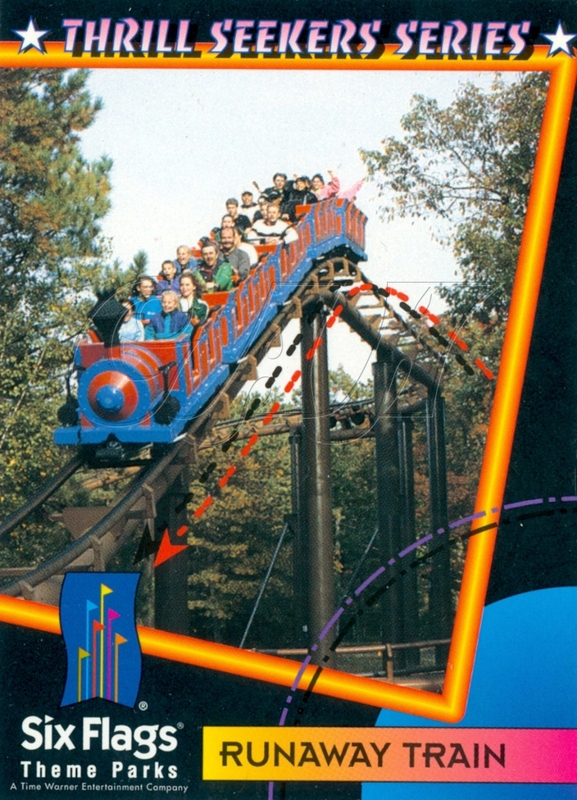 In the mid 1990's Six Flags sold trading cards featuring the theme park chain's most popular roller coasters. Four of 28 cards (cards 2, 3, 4, and 5) were for Great Adventure rides. 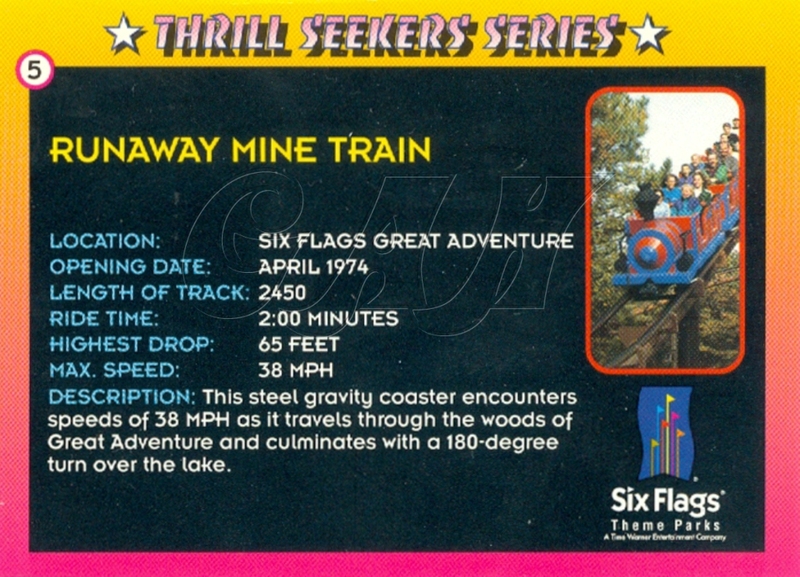 Below is card number "02" for the Runaway Train. You can check out the other three in our Trading Posts Past Souvenirs album.